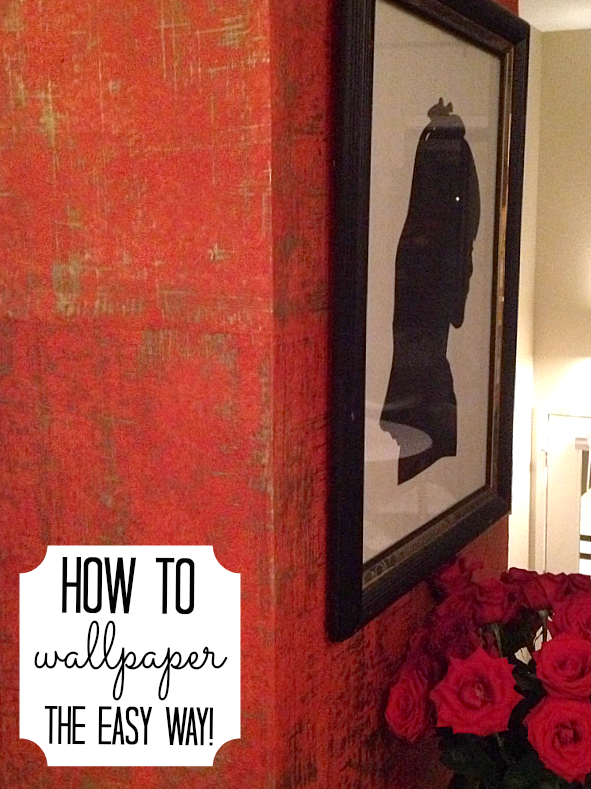 How to wall paper (the easy way) - C.R.A.F.T. 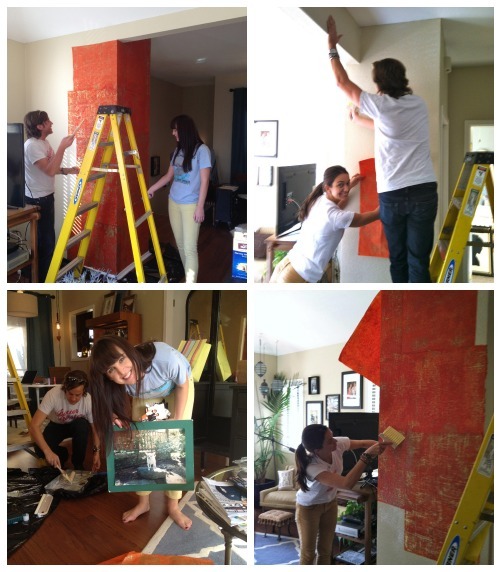 Wall paper is cool again, but hanging wall paper the traditional way is not so cool. It’s hard. You have to measure and cut and do all kinds of crazy things. 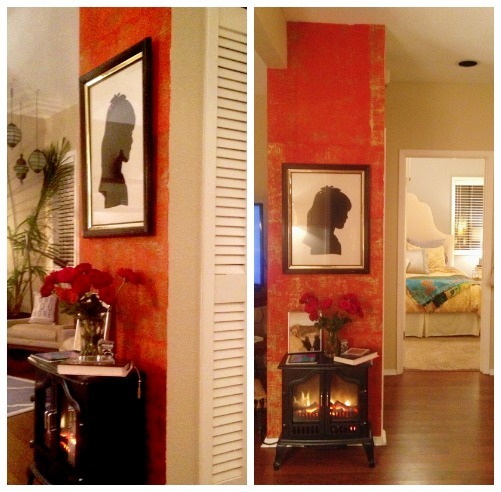 What if I told you wall papering was really easy? 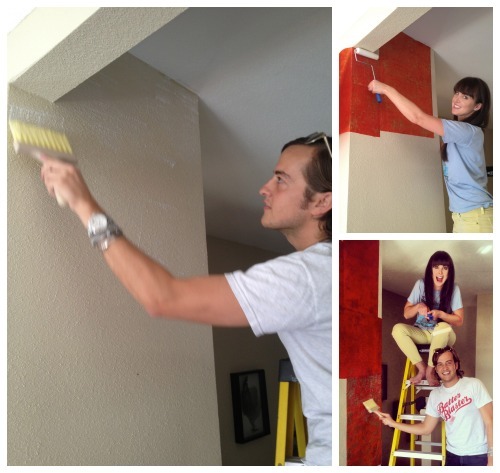 My crafty real life friend, Rachelle, recently bought a condo in Austin, and she’s sprucing it up big time. I’m kind of helping, ha! At least I helped with this wall paper project. We discovered a simple method that works like a charm. Here’s how it works: Apply a thin layer of wall paper paste on your wall, stick a sheet of paper to it, cover with a thin layer, voila… done! Well, continue the process until the entire wall is covered, but yea… it’s that easy. 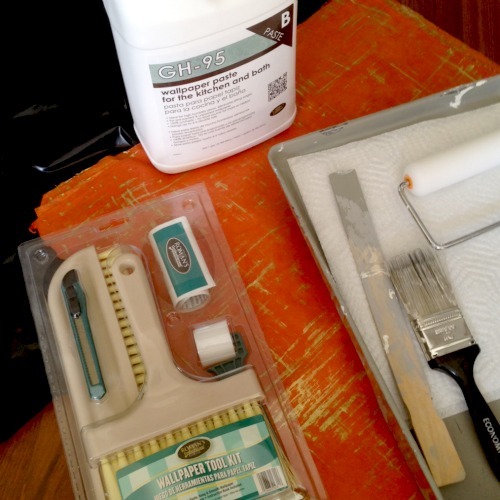 It feels like mod podge-ing your wall. We used a patchwork method to apply the the paper. We overlapped the sheets of paper just a tad, and we wrapped the corners of the wall. We like that you can see the seams! The 2 walls took us about 2 hours. It’s really that easy! Psst… If you’re interested in learning how to make a t-shirt quilt, we are doing Part 3 of a 3 part series this Wednesday, you can see it live on my google + page! Here is Part 1 and Part 2. Clever clever. Love how it turned out. Thank you, Thanks you! Rachelle loves it too! Hi Jamie, I actually love the look of wallpaper but have always stayed away from it because I was so sure I would mess it up, get frustrated and waste time and money. Maybe I should rethink? Thanks for the great tips! Am pinning! Have a fabulous week! So cute! How do you think the removal process of this would be? I would love to do it but the hubby might freak out if its on there for life! Hmm.. I don’t know :/ I feel like if it were me, I might just paint or “wall paper” over it! Hi! LOVE this look, and think it would be MUCH easier than all the faux painting technique — cracked deep red on top of metallic gold on the wall at the head of our bed. Where did you find the red paper with gold on it? Thanks for the GREAT idea!